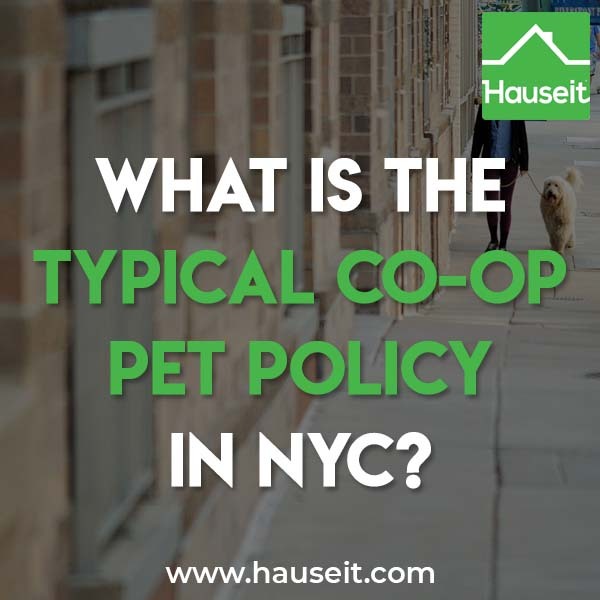 The specific co-op pet policy varies by building in NYC, however most if not all co-ops have house rules which establish a code of conduct for pet owners. Before moving forward with any co-op purchase, it’s essential that you confirm the pet policy and make sure your current or future pet plans are fully in compliance. What Types of Pets Are Permitted in NYC Co-op Apartments? Are Pets Required to Attend the Co-op Board Interview? Where Can I Find a Co-op’s Pet Policy? Are There Pet Breed or Weight Restrictions for Co-ops in NYC? Do Co-ops Allow Renters to Have Pets in NYC? Most co-ops which allow pets will permit ‘domesticated household pets.’ This phrase typically refers to all cats as well as dogs up to a certain weight limit. In some instances, a co-op may define and prohibit ‘aggressive breeds’ of dogs. If you are a pet-owner and thinking about buying a coop apartment, it’s essential that you ask your buyer’s broker to confirm the exact policy before submitting an offer. This is especially important if you have a larger dog or a breed which others may (fairly or unfairly) classify as aggressive. As part of the co-op purchase application, the board has full discretion in whether or not to approve your purchase. Violating the pet policy is an easy way to cause an automatic board rejection. Sometimes. We’ve heard stories where applicants are asked to bring their dog to the co-op board interview so that the board can take a weight measurement to ensure compliance with the building’s weight restrictions for pets. Truth be told, pet owners tend to underestimate the weight of their pets. This may in part be caused by the fact that pet owners do not necessarily take frequent weight measurements for their pets. Because a co-op may reject you if your pet is overweight, many buyer’s agents often weigh their buyer’s pet before advising them to move forward with a signed purchase contract. Where Can I Find a Co-op's Pet Policy? A co-op’s pet policy is most commonly found in the house rules. The pet policy may also be mentioned in the purchase application (also known as the board package). It’s quite common for there to be some sort of pet policy acknowledgment or rider which the applicant is required to sign and submit with the completed board package. Sometimes a co-op’s policy will not be clearly defined in either the house rules or the purchase application. 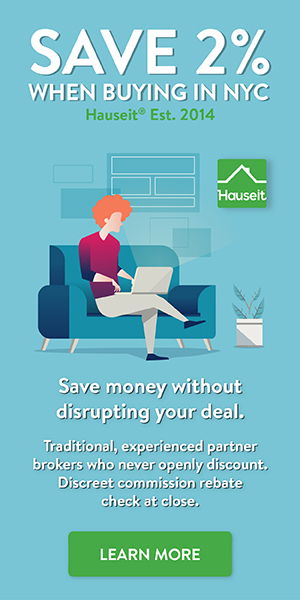 In this instance, the best way to find out is to have your buyer’s agent contact the listing agent and/or the managing agent. The Corporation allows domesticated household pets. However, pets are not permitted on the elevators or in any of the public areas of the building unless carried or on a leash. Birds or other animals may not be fed from windows, gardens or other public portions of the building or on the sidewalk or street adjacent to the building. Shareholders assume all liability arising from any injury to person or any fouling or damaging of property in the building which may be caused by their pet(s). If any pet becomes a nuisance or hazard to other shareholders, the Board may revoke permission for that pet to remain in the building. A pet becomes a nuisance if it causes excessive noise, including barking, howling or crying. 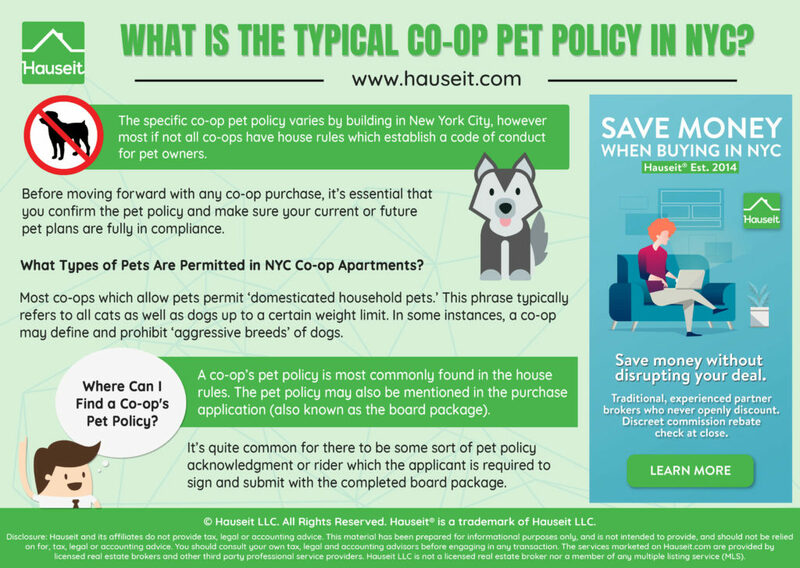 Note that in the policy above, the co-op does not define ‘domesticated household pets.’ A seasoned buyer’s agent would take immediate note of this and pursue clarification with the listing agent, who will likely ask the managing agent (who will then ask the co-op board)! Pets are allowed in the building, and shareholders are advised that they must pick up after their pets, that all pet accidents are cleaned up immediately, and understand that the Board of Directors at any time can revoke the rule of allowing dogs to live in the building. Current pets would be grandfathered. The pet policy above points out two important considerations for co-op buyers: a co-op board can vote to change its policies at any time, and it’s quite difficult to force out a pet if the co-op shareholder had one before the policy changed. The policies which a co-op board may change over time include the sublet policy, overnight guest policy, flip tax and the pet policy. Sometimes. If a co-op permits dogs, there may be a weight limit and/or restrictions based on certain breeds. If you have a larger dog or a dog whose breed may be considered by others as aggressive (justified or not), it’s important that you double check with building before moving forward with that particular unit. A co-op has broad discretion in choosing whether to approve or reject proposed purchasers, so it’s important to make sure that you conform to all stated co-op policies, including the pet policy and financial requirements for applicants. Not always. In fact, some co-ops which permit pets for shareholders specifically prohibit renters from having the same privilege of owning pets while residing in the co-op. In this case, a rental applicant may be asked to sign a ‘no pet rider’ as part of the co-op sublet board application. What Is a Condo Board Package in NYC Real Estate?